Career Builder is comming to Ireland! Something strange happened today. First a well known Irish Recruitment agency called on the phone this morning and asks if we can post their jobs via our Multiple Jobs Posting service to the CareerBuilder job site. I found it strange because CareerBuilder is an old site and it used to be US oriented so far. So I checked and guess what? 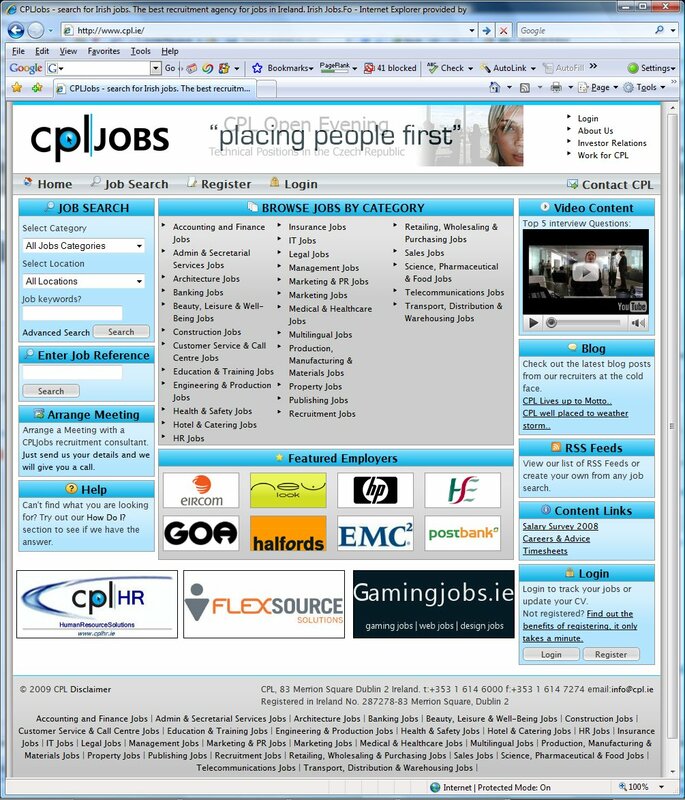 There is a CareerBuilder.ie Irish site. I looked around and it has about 15 clients advertising jobs. Not overtly impressive, but hey!? It’s a start. CareerBuilder is in Ireland! As the day goes by, I was checking some recruitment sites of the Irish recruitment agencies to get some inspiration, and guess what? Cpl has a new web site. I actually liked the old one better. But this one has all the right things that a recruitment site should have today: Video, blogs, and this giant footer made of gazillion links. I watched the video. 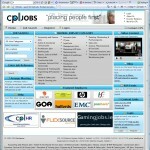 And noticed that the vide on the CPL web site is an advertisement for the CareerBuilder! I still do not get what is he jobs site advertisement actually doing on a recruitment agency web site. Beats me! Posted on February 26, 2009 May 6, 2009 Categories BlogsTags Advertisement, Agency Web, Blogs, Career Builder, CareerBuilder, CareerBuilder CPL, CareerBuilder Ireland, CareerBuilder Jobs, CareerBuilder Multiple Job Posting, CareerBuilder Recruitment in Ireland, CareerBuilder.ie, CPL, CPL Jobs, CPL Jobs.ie, Cpl Web, CPLJOBS, CPLJobs.ie, Footer, Guess, Inspiration, ireland, irish recruitment agencies, Job Site, Jobs, Posting Service, Recruitment Agency, Strange4 Comments on Career Builder is comming to Ireland!